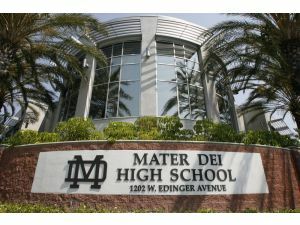 A California city council nixed a multimillion-dollar grant to a private religious school after the Freedom From Religion Foundation objected. A city council member thanked FFRF for reporting the problem and expressed support for its position. FFRF is elated at the city's about-face. "We were dismayed that Santa Ana was possibly going to channel millions of taxpayer dollars to a sectarian religious entity," says FFRF Co-President Annie Laurie Gaylor. "We're glad that it saw the light." The Freedom From Religion Foundation is dedicated to the separation of state and church, with nearly 24,000 nonreligious members all over the country, including more than 3,000 in California.